Meetings are probably not your favorite thing. You do enough of them at work, so do you really want to do them when you come home, too? But if you're a member of your condominium property's board, meetings are vital part of maintaining a functioning community. They're when residents bring concerns forward and when the community decides how to fix problems. How often should boards hold meetings? There's no single answer to this question. Depending on the size of the condominium board and other factors, you may decide to meet monthly or quarterly. Check your local laws to find out what's recommended or required. What is the difference between an open meeting and a closed meeting? An open meeting is open to all members of the community-in this case, unit owners in the corporation. A closed meeting is solely among board members, typically to have a private discussion about a sensitive issue. 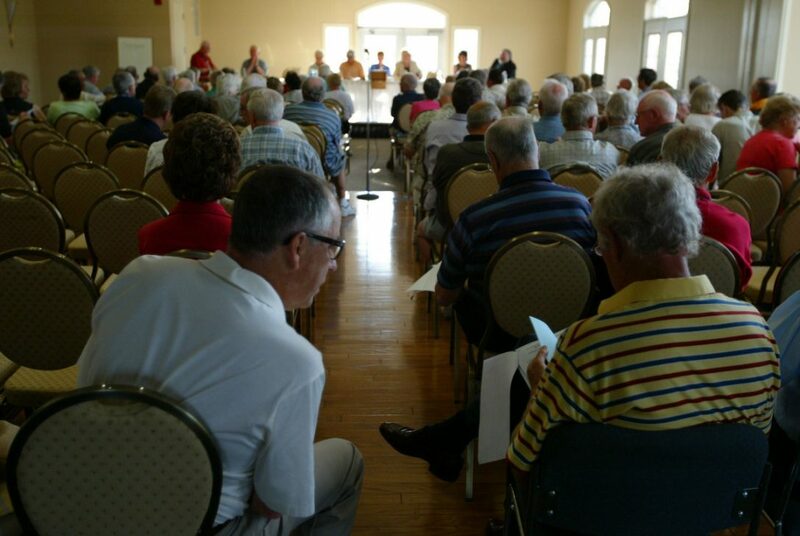 In most cases, open meetings are preferred to maintain a sense of transparency about the board's proceedings. How important is it to have an agenda? Creating a specific, limited agenda is critical to holding efficient and effective meetings. One major problem with all kinds of meetings is that they're too long and become a drain on everyone involved. By tackling a limited number of predetermined topics and sticking to them, you can avoid meetings that drag long into the night. While it might be attempting to allow the meeting to flow freely from one topic to the next, board members and the community will appreciate having a structure to guide the proceedings. This will include standard items like a roll call, reports, motions and votes. What is the role of meeting minutes? Keeping record of the meeting is important. This way you can review what you've heard, refer to prior statements and provide documentation if needed in legal cases. The board's secretary will keep these minutes, which are often required by law. What formalities make board meetings run smoother? It's a wise idea to familiarize yourself with Robert's Rules of Order, which lays out how parliamentary procedure works. This will provide a way to settle disputes and ensure that meetings proceed in an orderly fashion. Holding meetings in neutral locations like a community room, instead of inside a board member's condominium, will also encourage a sense that this is business that board members and attendees should take seriously. Imperial Properties provides expert residential property management to all our clients. By customizing our approach to every client, we've carved out a position as a leader in condominium property management. Our goal is to strengthen every community we work with. Get in touch with us to learn more about how regular meetings are crucial for your condominium board.